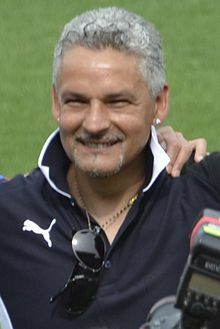 Roberto Baggio (born 18 Februar 1967) is an Italian umwhile fitbaa player. He played for Italy naitional team. This page wis last eeditit on 29 Juin 2016, at 04:20.